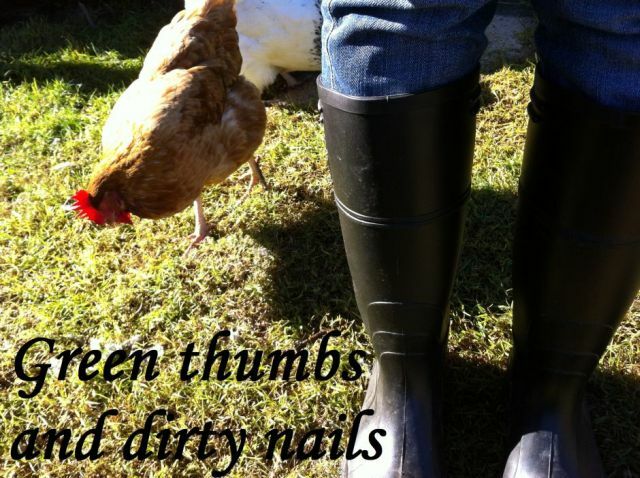 Green thumbs and dirty nails...: Chance meeting and a much needed slow Sunday. Chance meeting and a much needed slow Sunday. I met a man at work recently. We have the same client and needed to attend a meeting together. General polite conversation quickly turned into a sharing of similar experiences of moving from Sydney to the countryside, with a nice mix of sustainable ideas and love for the home grown thrown in for good measure. The term "blog" came up and he mentioned his wife had one. What?!? So excited. Someone living in the same area with very similar interests. Great! I rushed home that evening to discover Little Green Village. What a gem to find! She has such similar interests to me: gardening, sewing, simple living. So I sent her a "hello" package last week: broccoli seedlings raised by me, one of my winter tomato plants, home grown snow peas and chillies, and some eggs from my chooks. She loved it all and the very next day I got to meet her in person and gratefully received home grown lemon grass, rocket, and kaffir lime leaves. I have used the lemon grass in a stir fry and made a delicious rocket salad. Any ideas how I could use the kaffir lime leaves? Wow how lucky you where to meet. I'm a bit of a distance away still in Sydney but love following both your blogs. Kaffir lime leaves are great in green or red Thai curries, or in Thai style stir fries.